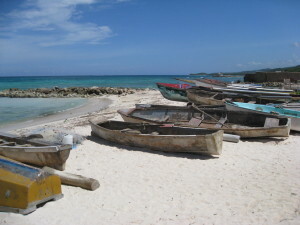 Fishing boats in Runaway Bay, Jamaica. Have you ever wanted to go scuba diving in Runaway Bay, Jamaica? Ever even thought about doing it? 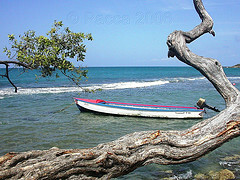 Runaway Bay is a small town on the Northern coast of Jamaica, in the St. Ann parish. Situated just in between Montego Bay but closer to Ocho Rios, this spot is home to some historically notable events. In 1494, Christopher Columbus landed at Discovery Bay, his first landing on the island of Jamaica. As such, The Columbus Park is now home to the site where he set foot on the island. 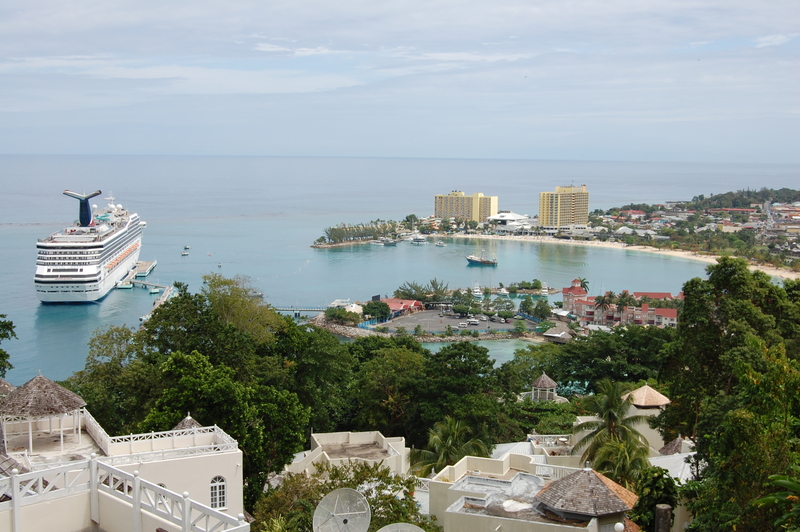 A popular tourist destination, located just West of Ocho Rios, Runaway Bay has some nice private villas to vacation in. Also nearby is Duncan’s Beach area. A nice small fishing town with private homes and villas right on the water. This area is popular during summer months for families vacationing and renting out the entire house for their stay. With lots of private beaches, vast amounts of large open areas, delicious local seafood and beautiful ocean views make this a really nice place to visit. Many all-inclusive resorts line this Northern section of the island. Scuba diving in Runaway Bay and water sport activities are hugely popular around here. There is great scuba diving off the nearby reefs, awesome dive sites to explore and because it’s situated centrally on the Northern part of the island, there are many day tours and excursions to take part in as well. Dinner and a nighttime boat tour of Glistening Waters, a river rafting trip down the Martha Brae or even a visit to Bob Marley’s old home just to name a few! 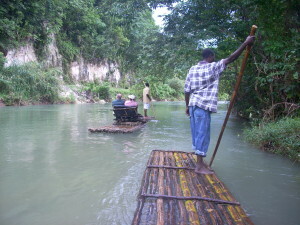 Enjoy a raft ride down the Martha Brae. I’ve had some of my best time in Jamaica staying in a private villa on Duncan’s beach. People here tend not to hustle you, there is a more laid back vibe here than in Ocho Rios or Montego Bay. I’ve been invited into strangers homes and have been offered some of the best meals I’ve ever eaten on the island. People here are extremely friendly, helpful and overall kind. As such, I’ve found some of the best and most unique wood carvings around this area. Many of the local artists and craftsmen are highly skilled at what they do! I’ve made a lot of lifelong friends while in Jamaica, and many of them are from around this particular part of the island. As far as scuba diving in Runaway Bay, there are many great dive sites to explore. 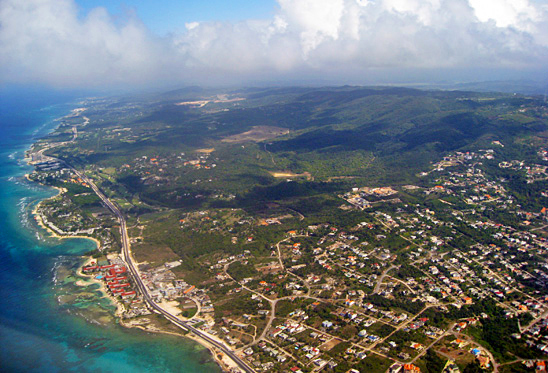 Ocho Rios and Falmouth are the nearest towns and water sport activities are common all over this entire area of the island. With all the luxury all-inclusive resorts and independent dive shops nearby, there are literally endless opportunities for you to adventure out and explore the waters off Jamaica. Discover Bay is also home to The Discovery Bay Marine Laboratory (DBML). This research facility of the University of the West Indies is dedicated to supporting research and the teaching of biology, chemistry, ecology, geology, hydrology and geography. The laboratory is ideally situated on the water in Discover Bay which makes it an excellent location for the different scientific research, educational seminars and field trips as well as marine workshops that are held here. Also important to note for scuba divers coming to Jamaica, is that the DBML has the only Hyberbaric Chamber in Jamaica for the treatment of decompression issues; also known as, the bends. If you find yourself in trouble scuba diving in Runaway Bay or anywhere on the island, you’ll want to keep this place in mind. All of the professional dive shops and PADI certified instructors on the island know about the DBML. Venture off the beaten path, go scuba diving in Runaway Bay and explore what this hidden gem is all about!